Everyone wants a clean, healthy home for their family to enjoy. Singapore dry carpet cleaning is one of the most powerful ways to remove germs and bacteria off your carpets. All carpet cleaning incorporates some form of water or moisture. The dry chemical method just uses less water and relies on agitation of the carpet and a special chemical combination to get the results you are looking for. 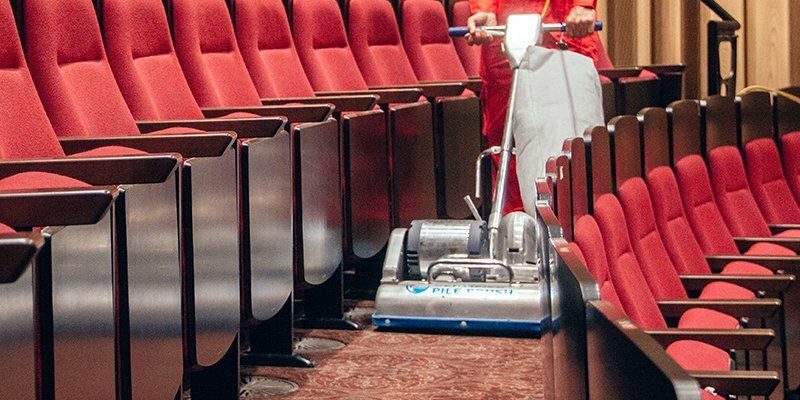 The special industrial strength vacuum removes dry dirt and soils from the carpet, opening up the carpet fibers. The stains are pre-treated with special dry cleaning solutions and stain removal products. The dry carpet cleaning technology lifts dirt and stains from the carpet and also leaves the carpet with the correct chemical balance to help rejuvenate the original colour. Dry foam carpet cleaning is a very low moisture cleaning procedure. The process of dry foam cleaning is capable of covering a lot of area in a very short amount of time. Since the moisture content is low, this will help in minimizing the problems that are commonly associated with over wetting. Dry foam is a good choice for older, more soiled carpet that needs deep cleaning. This low-moisture carpet cleaning technology provides a number of advantages. Facility managers appreciate the faster dry time than conventional methods. This method is eco-friendly because it is water and energy-efficient. Bonnet cleaning is commonly referred to as a “dry” carpet cleaning system. Although not completely dry, bonnet cleaning is considered a low moisture carpet cleaning system. This cost effective form of cleaning gets great results. Bonnet cleaning is accomplished by spraying carpet cleaning solution over the face of the carpet pile Once the cleaning solution has been applied, the carpet is then buffed with an absorbent pad that is attached to the machine. The pad is subsequently changed as it becomes soiled and thoroughly laundered prior to the next job. Bonnet buffing is perfect for cleaning large areas of low profile carpets quickly, quietly and with fast drying times. You can walk on your carpets straight after cleaning. No downtime. Enhances colour of the fibre. Natural and safe for people and pets. Dry cleaning is only surface cleaning, hence all dirt and germs are not completely removed. 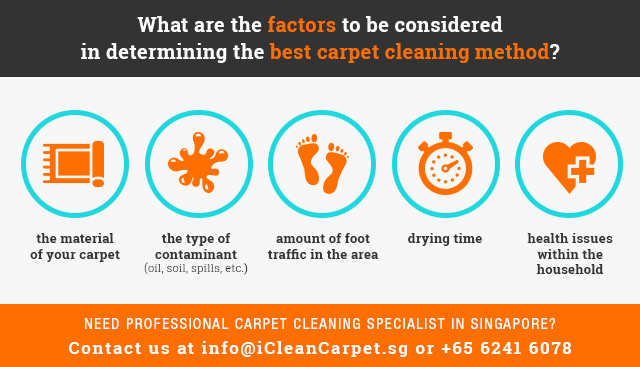 At iCleanCarpet.sg, we use a combination of wet and dry cleaning methods to produce the best results. Regardless of the adopted method, it is highly advisable for carpet owners to deep clean their carpets once every year. That said, carpets with more high traffic areas should be maintained on a more regular basis. Let’s face it. There is only so much your vacuum cleaners can do. Sometimes you just have to hire a pro!